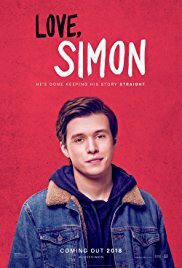 Simon Spier keeps a huge secret from his family, his friends and all of his classmates: he’s gay. When that secret is threatened, Simon must face everyone and come to terms with his identity. You’ve seen this film before. It’s the hollywood teen romance film that you’ve already delighted in. It’s 10 Things I Hate About You. It’s She’s All That. It’s Can’t Hardly Wait. You’d think that the fact that it’s a boy who’s crushing on another boy might make it something different. The cool thing is, it doesn’t. It doesn’t matter at all that it’s a gay relationship instead of a straight one. And that’s what makes this film matter so very much. Also, by God it’s funny.